Get the smile in your face by using these two decorated eggs and ducklings theme for Windows 8 and 7. These wallpapers are so cute. Few months earlier, Microsoft has released two new cute themes for Windows 7 Computers. These themes are really beautiful and I am sure you will like these two cute themes. If you use Windows 8 as your primary OS than you can also install it on your Windows 8 PC. Just download the theme from the given link. Take a look at the snapshot of these two decorated eggs and ducklings themes for Win 7 and 8. Aww... these ducklings are so cute. I have downloaded to use on my PC and it is of high quality and resolution. Like other Windows theme, this theme is also free. 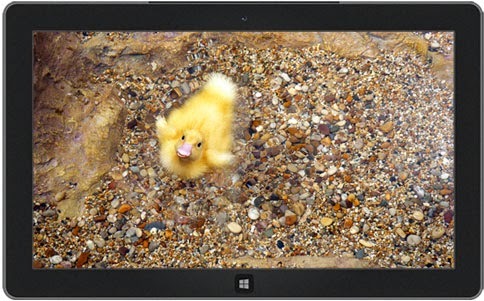 Microsoft says, They’re fuzzy; they’re sleeping and waddling; they’re peeping and swimming and impossibly cute! Make way for this adorable free theme for Windows. Not only this, they also warns that downloading this theme may cause people to stand over your shoulder making some baby talks. Now take a look at the another theme related to this ducklings. Do you like eggs? No! Whatever, you're going to like these beautifully designed eggs themes and backgrounds on your desktop computer. 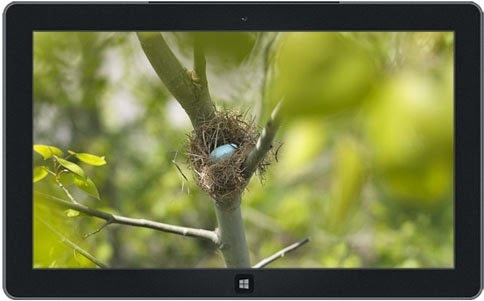 Microsoft says, we don't need to hunt long time to find the brightly colored eggs in this free theme for Windows. Let's become child and enjoy all the fun of finding chocolate-covered, candy-coated goodness without the tension of any calories. That's All. Keep visiting for more new Windows themes.